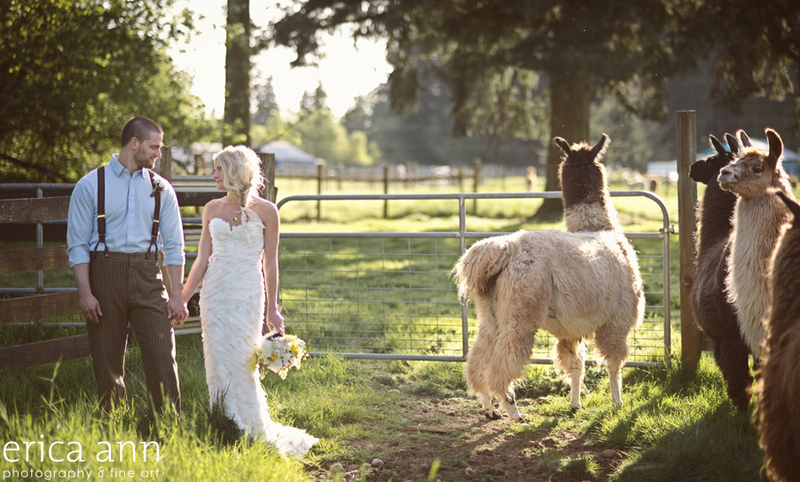 Cotton and Wool Wedding featured on Style Unveiled! I’m so excited to finally share this gorgeous shoot that I did with some of the most talented local wedding vendors and my past bride and groom Ashley and Curtis! 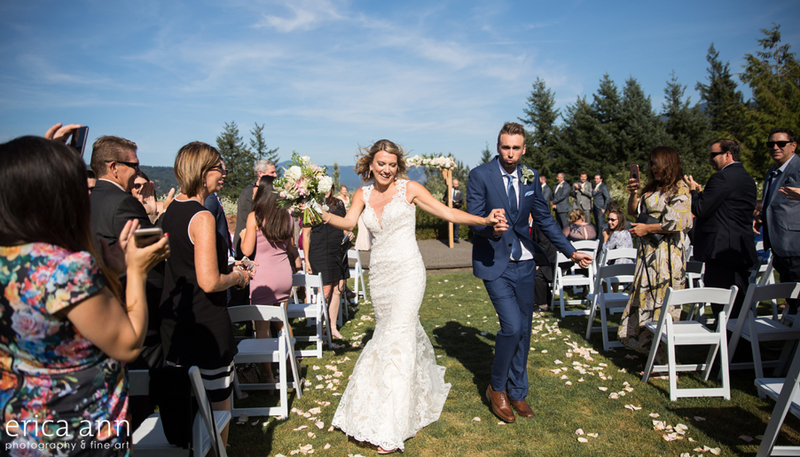 Click here to see their real wedding at the Dalles Ranch. This photshoot was inspired by the natural raw fibers of cotton and wool. I cannot believe how many amazing talents and people came together to make this idea a reality! Congratulations John and Colby! 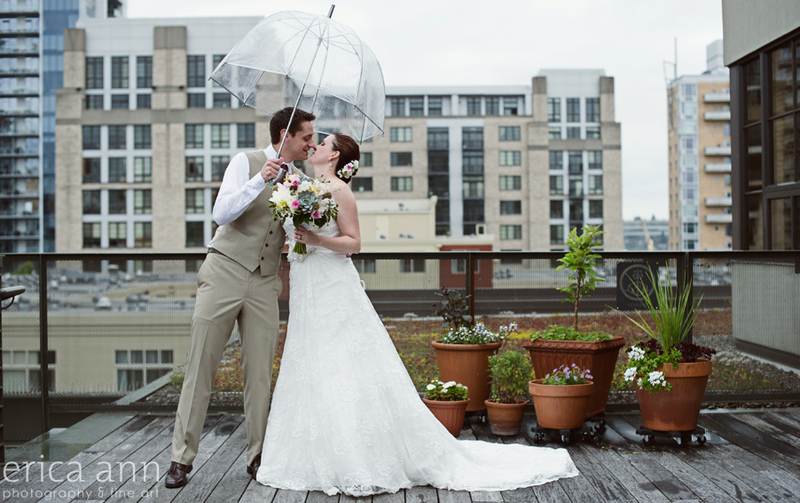 They tied the knot on the roof of the Ecotrust on a beautiful Portland summer afternoon. (Yes, it was raining, but only a little) The gorgeous flowers were created by Floral Design by Alica. Oh, and check out that floral hair piece she made! The awesome mountaintop cake was by Bakery Bar – a nice surprise from Colby for John! 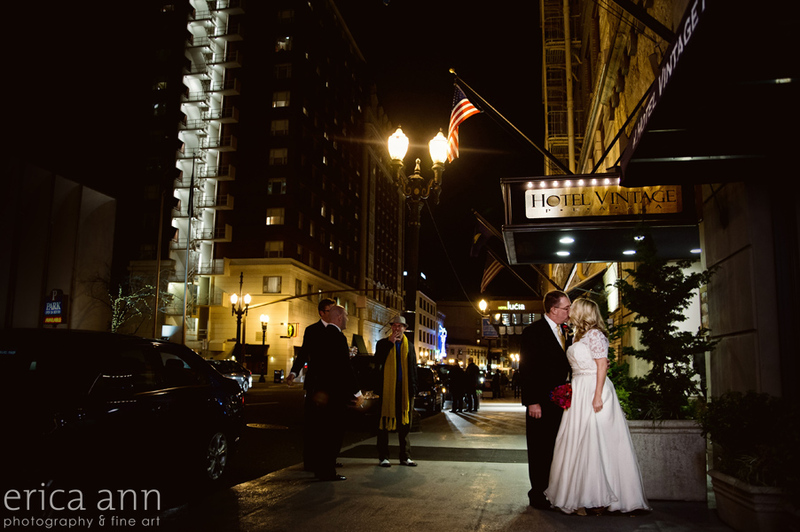 Thank you so much you two for having me be a part of your big day and for letting me take you out again for more pictures on a less “Portlandy” day. Ok, I’ve just been editing along and I had to give you all at least a glimpse into the gorgeous table details and serious hotness of this real life couple! 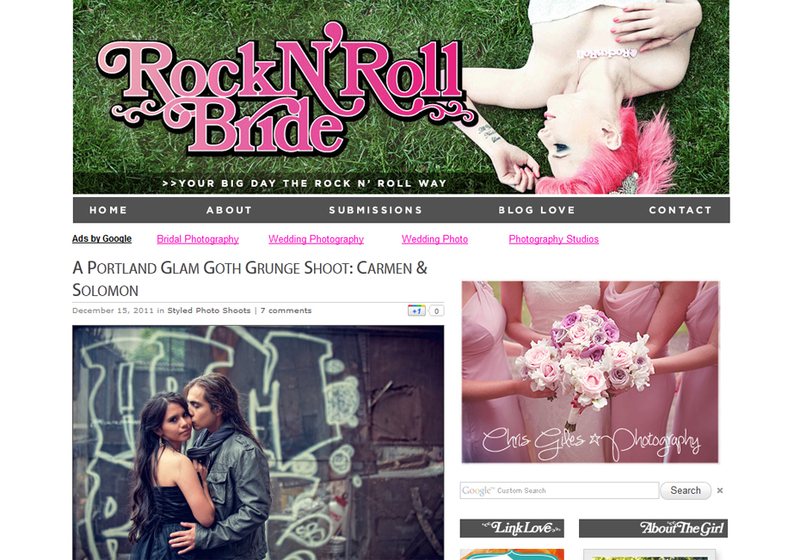 Portland Glam Goth Grunge Wedding Shoot featured on Rock N Roll Bride!